An interview with Charles Delavan, the IT guy whose “typo” led to the Podesta email hack. What it’s like to be the IT guy who accidentally helped Russia (maybe) hack the election. John Podesta, chairman of Hillary Clinton’s presidential campaign, listens as she talks to the media inside of her campaign plane in North Las Vegas, Nevada, on Oct. 19. I called up Charles Delavan because I thought he was lying. Delavan, 29, has achieved a measure of infamy among politicos and security wonks as the IT guy who assured John Podesta that a phishing email intended to steal his Gmail password was “a legitimate email.” The detail emerged in an October WikiLeaks dump and was reported as a stunning example of incompetence on the part of the Hillary Clinton campaign’s tech team. 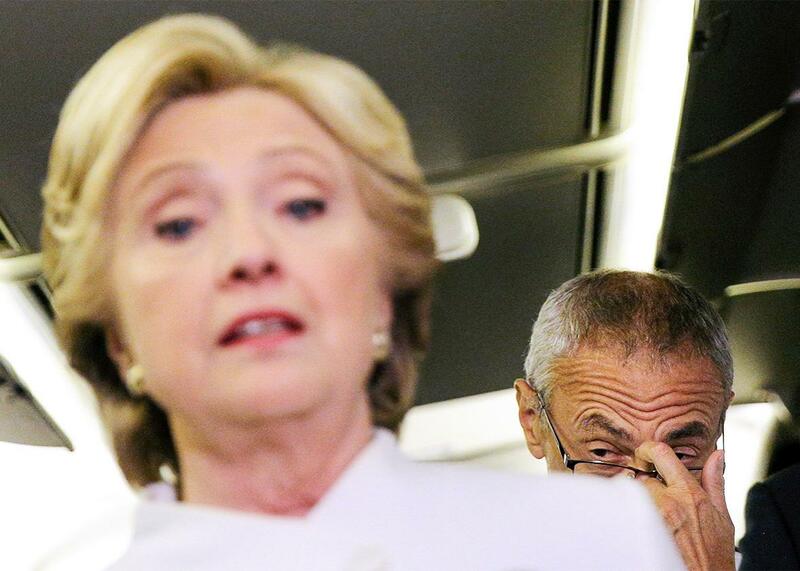 Podesta or one of its aides, it seemed, had initially been suspicious of the email but went ahead and opened the fateful link after Delavan vouched for its authenticity. But a front-page New York Times article published Tuesday gave the story an almost incredible twist. The Times quotes Delavan as saying that he actually recognized that the email was a hoax—but mistakenly typed the word legitimate when he meant to type illegitimate. The implication was that the Clinton campaign was compromised not by incompetence, but by a slip of the fingers. The anecdote triggered headlines around the web: “A Typo Might Have Cost Clinton the Election,” gushed the Week. Someone just used your password to try to sign in to your Google Account john.podesta@gmail.com. And here is Delavan’s reply to Sara Latham, Podesta’s chief of staff, who had forwarded it to him without comment. If Delavan had meant to type illegitimate rather than legitimate, why did he preface it with the article a rather than an? Was that a typo, too? Moreover, if Delavan’s goal had been to warn Podesta that the email was a scam, you’d think he would have told Podesta not to follow its instructions and not to click on the “change password” link therein. Instead, he followed his assertion that the email was “legitimate” by reiterating to Podesta the instructions contained in the email itself, almost to the word. The phishing email told Podesta, “You should change your password immediately”—which is exactly what Delavan told him. So Delavan not only called the email “legitimate,” he practically ordered Podesta to do what it said. I doubted I could actually get a hold of Delavan to confront him with my hypothesis. I figured he would have retreated from the public internet months ago. Still, I figured it was worth a shot. The first thing I tried was to call the cellphone number contained in his email itself, which is still publicly available on WikiLeaks’ site. He picked up on the second ring. Asked about the a/an discrepancy, Delavan told me the Times had the wording wrong. Delavan had actually meant to type that it was “not a legitimate email,” but mistakenly omitted the word not. Are you sure, I asked? “Yes,” he said. I asked why, if Delavan knew the email was not legitimate, he still directed Podesta to change his password, which is how the hackers obtained it. Delavan said he recommended the password change “out of an abundance of caution,” even though he knew the request was a scam. It’s true that changing one’s password and enabling two-factor authentication, which Delavan also recommended to Podesta, is generally good practice if you’re concerned about hacks. And Delavan noted to me, accurately, that he included in his email a link to Google’s genuine password-change site, which would not have stolen Podesta’s credentials. But why, I asked him, didn’t he tell Podesta explicitly not to click on the link in the email? Wasn’t that the most important message to convey, if Delavan knew it was a phishing link?